Altai State University has significantly improved its positions in ARES-2018 (Academic Ranking of World Universities – European Standards) published by European Scientific-Industrial Chamber. It has become the only higher education establishment of Siberia to receive BBB+ ranking. 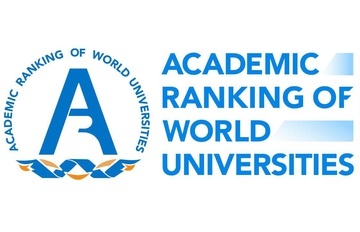 Over the past year, Altai State University managed to move from the 44th position of the ranking to the 36th position and outstrip such strong universities of Russia as South Ural State University, Tyumen State University and Immanuel Kant Baltic Federal University. Other universities of Altai Krai have taken the 71st position and lower. According to the ranking results, Altai State University has been included in the BBB + category. In the next categories (A, A +, AA, AA +) the universities of the 5-100 Project and the largest universities of Moscow are mostly represented. ASU shares its category with such strong universities as Saint Petersburg State Electrotechnical University and North-Eastern Federal University. According to the European Scientific-Industrial Chamber, all data processing is done automatically excluding human intervention. This makes the ranking unique and objective. The Standards and guidelines for quality assurance in the European Higher Education Area (ESG) were adopted as criteria in the assessment. They have been approved by the Bologna Follow-up Group (BFUG) and established by the Conference for Ministers of Higher Education in 2015. The following key indicators are taken into account when compiling the rating: scientific activity, international collaboration, graduates’ being in demand, computerization, level of training and international recognition of teaching staff, membership in European academies of science, honors, and cooperation with employers.